Generations. That one word embodies a wealth of power. One generation can change the way the world thinks, operates and advances forward into the future. One generation can hold the key to a better life for all. Some generations have been nearly swept away by disease and war – the civil war in America claimed almost an entire generation, leaving us with a void, taking with it any ideas, creations and leaders that it may have offered. 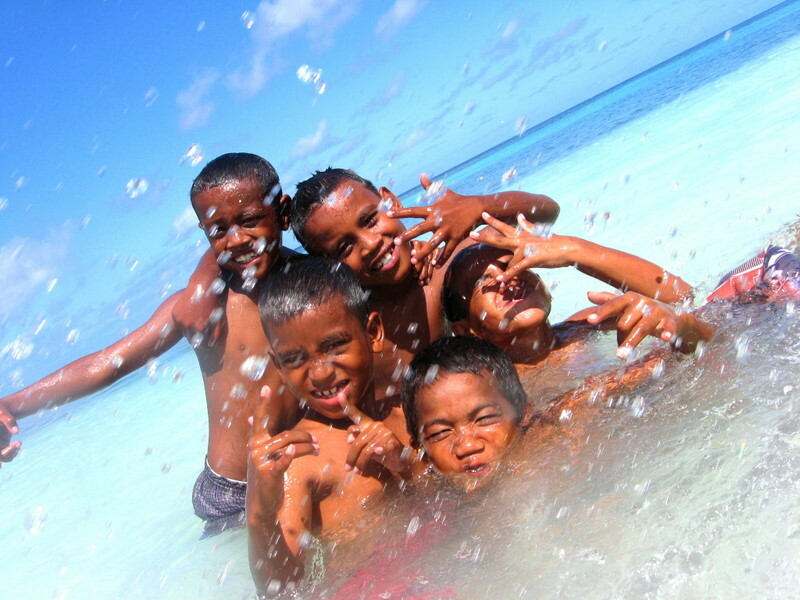 When I think about Ebeye, I think mostly about its children. Half of the island population is comprised of children. Precious generational changers. I remember reading about Ebeye when I first decided to commit to a year of teaching there. I remember thinking that so many good things were happening in the way of communications and technology for a small island that was struggling under the weight of many economic, social and political problems. 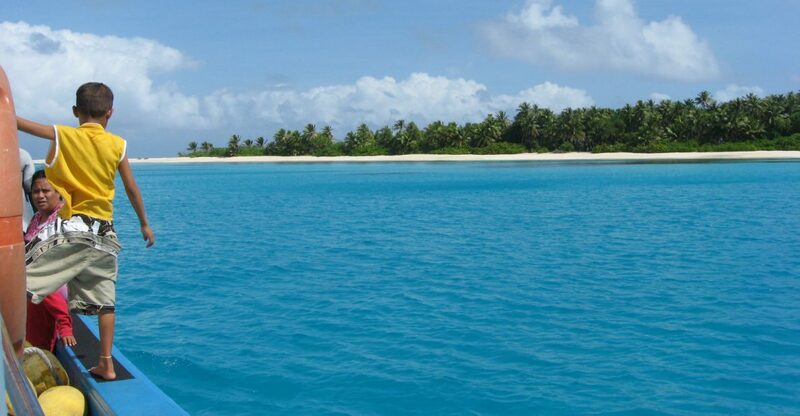 But of all that I was reading, I wondered…what do the Marshallese people want? While so many technological advances were being made, what weighed on their hearts in importance? Well, I didn’t take a formal poll or interview anyone, though it was something I had hoped to do. It just didn’t materialize. But through the course of two years, I learned a lot about a culture that is straining to break free of the past outdated traditions while holding onto their heritage as a people. And where you have 17,000 people, you have just as many opinions, perspectives and solutions to the problems. There are those who would not change, and those who desperately strain for it. There is an old mindset and a new one – each with their own advantages and failures. It is an island of people emerging. And along with the people spring forth the ideas and….ideologies. 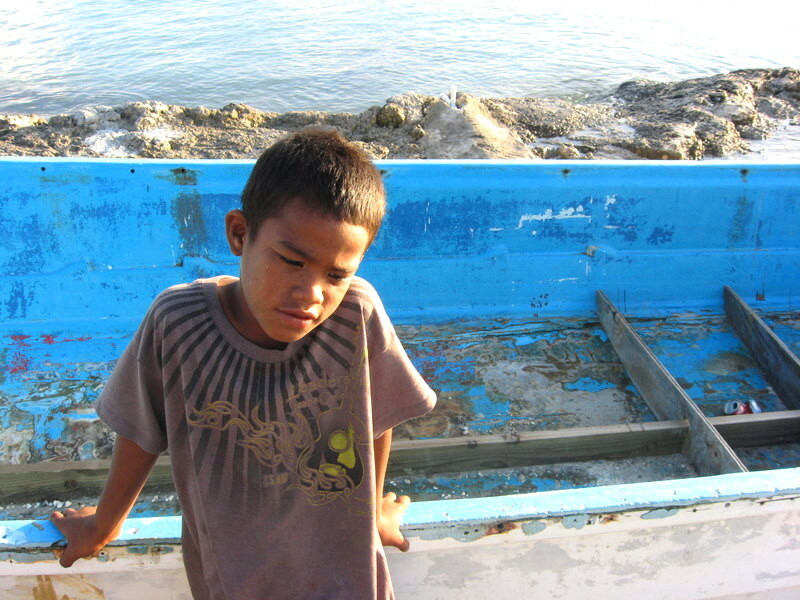 There are many on Ebeye who are left without hope. And there are those who hold tightly to it. Hope for a better future than the past has offered. There are those who dream of being a self-sustaining island again, which is novel but by all practical purposes now impossible. Developing small islands into towns is too expensive and time consuming to warrant the effort, much less maintain the upkeep of such developments. And economically speaking there is not much in the way of exports to support the society. You might think fishing, but there are no commercial seafaring vessels that belong to the Marshalls. They instead lease out their waters to foreign fisheries who cultivate the profits instead. Many put hope in their upcoming generation to exact a change and begin to turn things for good. I found that there is an energy among the youth that could set many good things into motion for the small island. I hope to see it. I hope to see some of my own children rise up and be leaders, changing the scope of the future. But they would have to decide if they want to advance or stay rooted in tradition. Are they going to look backwards or forwards? To new ideas or only historical redundancy? It is a delicate line to walk, but the course of time changes many things including turning over generations and their ideologies, allowing for the next generation to step up and be counted. I believe in God and the plan He has for all the Marshallese and their islands. I pray the very best for the Marshallese, my families in the islands and my friends. I will see you again by the grace of God. And I will be watching to see what good things are happening in your part of the world, praying earnestly for you all. Nowadays I have to be careful, because if I am not, my classes morph into girl-talk and chillin’ with the homies. My sons and daughters are very good at leading me into these delightful occasions, partly because I may be focusing on something else and partly because I find it necessary to let them invade my ‘professional demeanor’ these last few days and bond with them. Oh heck, they can learn about what adverbs modify next year! It starts off innocently enough. I’m grading papers and two come over to watch. ‘Ms. Ashley whose paper is that?’ They whisper, they pretend to be so interested in what I’m doing. Then one more comes over. and one pipes up, ‘Ms. Ashley Faith says you are so beauoootiful’. Now how can I tell them to sit down and stop talking and stop leaning on my desk because I need to work? Apparently, the upper rim of my ear is uniquely smashed over. It is, but I’ve never really noticed it much. My mother always told me I had cute elf ears. It’s amazing what good words over a child can do for their self-esteem. (take note) People can say other things about my looks and I may believe them. But they can’t say anything about my ears…’cause my momma said……. Now they are pulling my earrings out of my pierced ear…I’m about half way finished grading; good for me! Three leave my table but it’s really just a ploy to make me think they are doing what I’m asking. I’m appeased for the moment – they give their signals – the three make their way stealthily back up to my desk. Did another one just blow in on my right? Am I surrounded? One of my girls, Jelly, so cute and sweet but tough as nails when she needs to be, is sitting directly in front of me on the opposite side of my table. I can’t go anywhere that she isn’t making sure she is in front of me. I pull my chair up to the wrong place in front of the class and she will switch seats. Wait, what is that….ouwww! “Hey, that’s my ear!” I cry out while Faith is inadvertently giving me another piercing through my earlobe. What is that on my foot…I don’t want to know…keep grading! Stay focused, don’t let them get the best of you! Faith: “How about here Ms. Ashley?” Pointing to her lip. “Sure.” I say, with a bit of trepidation. They look at me….I think it sank in. But then…. “How about here! ?” Therizo pinches her tongue. It took a few minutes until I realized………I had been duped! They had me!! My pencil wasn’t moving. I had stopped grading and was surrounded by ear-pulling, lobe-piercing strategists! A collective “Yes!” goes up from the military strategists. “Hey, bring that back, I’m not finished yet!” Am I grading? Have I lost this war? Mark the page at the top, write the comment…..no more papers! Titus: “O K let’s go!” He had been hounding me that I feared the girls in class and that’s why I kept giving them all the A’s. “Do you mean favored?” I ask. …..they make it all worth it. 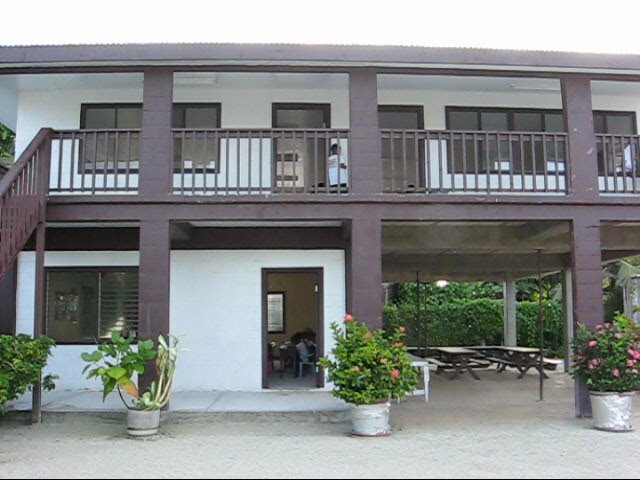 It is official, Ebeye Gem Christian School has been awarded $91,000 from the Embassy of Japan to be used toward the building of three additional classrooms for the school. On average, construction costs for one classroom runs about $38K due to labor costs, logistics of shipping construction materials to an island, and the cost of materials in general. Construction will begin the second week of June, just after the school’s end of year graduation activities. Japan recently held three Grassroots Grants ceremonies for Ebeye and Rairok schools, and Aur Atoll Local Government at the Japan Embassy last month. For Ebeye, an agreement was signed for a $91,767 grassroots grant to build a three-classroom building in Ebeye for one of the private schools known as the Gem Christian School…officials from Ebeye that were at the ceremony were vice principal Noble Ned, Abita Joram, Kiton Loibwij, Tim Ned, Joel Clinton and Abring Jilly. Gem School is a rapidly growing educational facility with over 170 students running grades K-5. Next fall we will be adding a sixth grade and the classrooms are greatly needed to increase our capacity to hold this many students. Currently we are holding four classes in the three classrooms pictured above due to limited space. 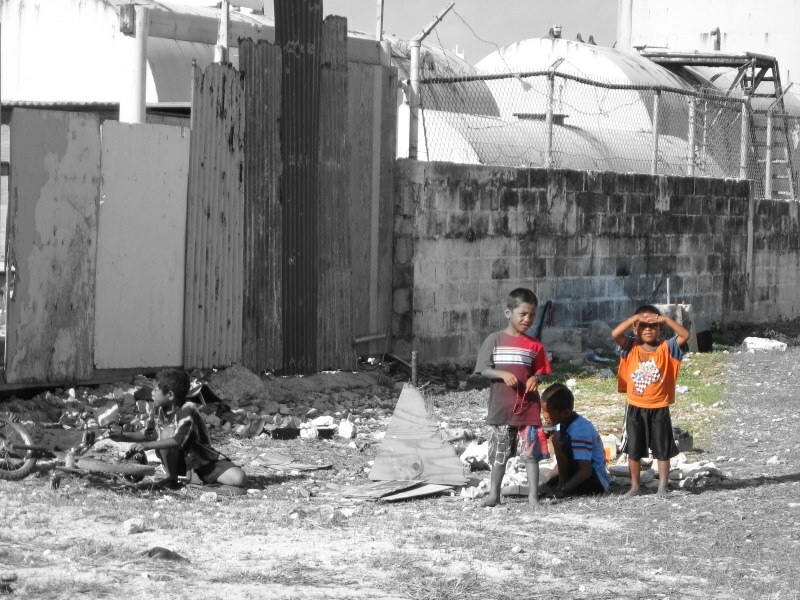 The island of Ebeye is so overcrowded that most children do not attend school at all due to lack of space in the school system. 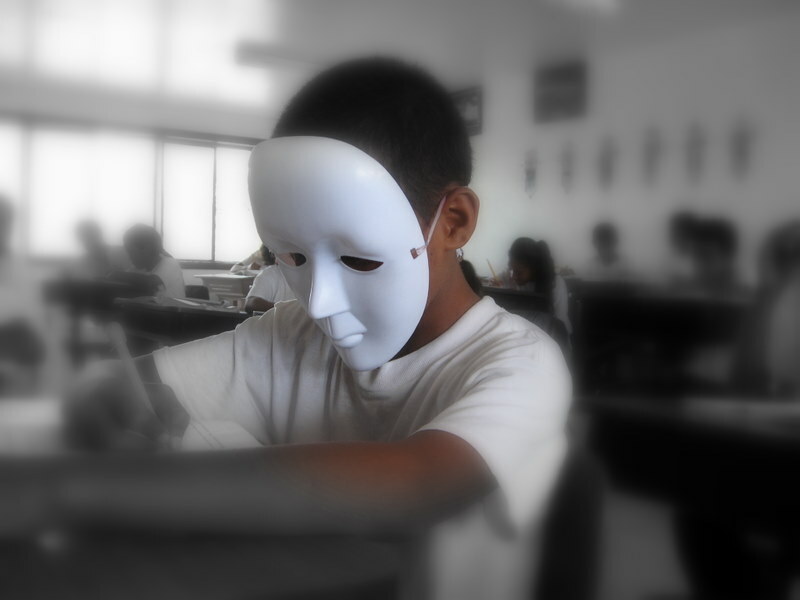 Sometimes, due to lack of teachers and volunteers, there are schools where the students show up in class with no one to teach them. It’s a dire situation and nations like Japan are doing what they can to assist Ebeye in their pursuit of a better life. I personally find this admirable, as Japan is going through their own national crisis right now. According to the article, Japan’s government has funded nine grassroots projects this year (April 2010-March 2011), and the total contribution to Republic of the Marshall Islands educational system at large is $811, 560. Those of us here at Gem are incredibly thankful to God and to the Embassy of Japan for their monetary support. It is a blessing to us and to the children of Ebeye. Sunshine. Clear blue waters. Chicken marinated in soy sauce, brown sugar, green peppers and onions roasting over an open fire. Add to this recipe two truck loads of energetic third graders that love their teachers and life and you’ve got a barbecue oceanside to be rivaled. We had plenty of fun this past week when my third grade class headed out to the southern tip of Ebeye for an end of quarter Beach Party to celebrate their hard work this past school year. We decided to venture out – we being Laura, Miriam (my sweet little third grader) and me – to the edge of the coral where the ocean waves were breaking. During high tide we would need a boat, but low tide lent itself perfectly for some exploring. Along the way, we came across some interesting creatures and scenes. In the distance the ocean breaks over the coral ‘drop’ wall that runs around the island. 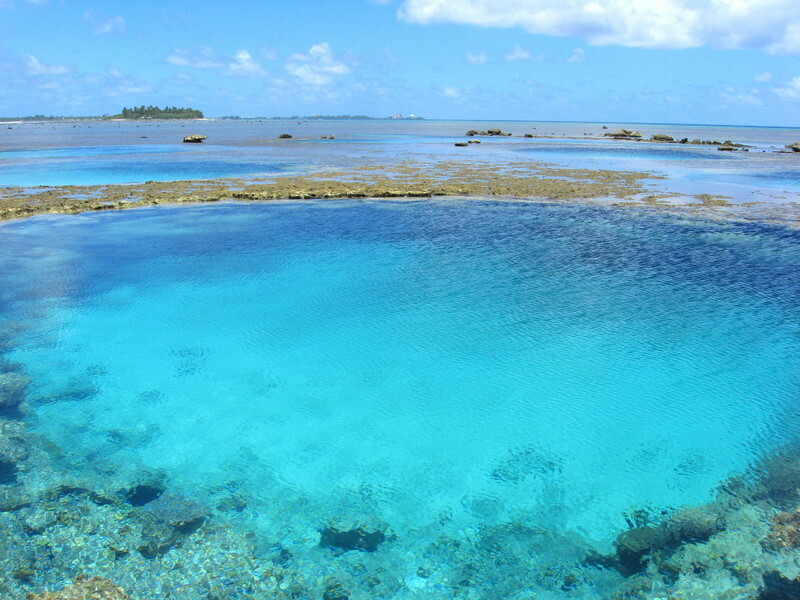 One thing I learned was that construction crews, at one time, planted explosives into the coral bed to blow out chunks of rock to be used to build the causeway which now connects Ebeye with Gueggegue island. 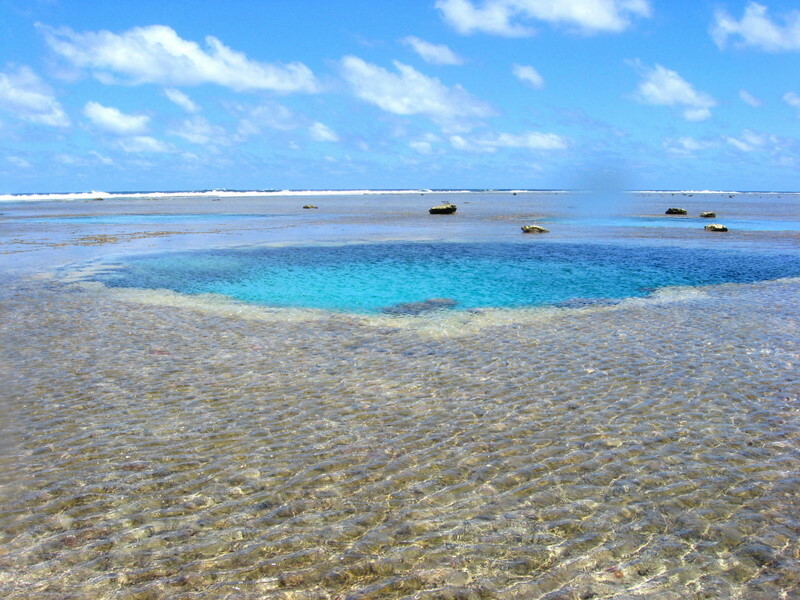 In doing this, the explosives left huge open ‘pools’ in the reef that become swimming pools when high tide moves out. Beautiful and haunting oceanscapes to say the least. There were dozens of these pools that we found ourselves weaving around as we made our way out to the breaking waves. We caught all kinds of little sea creatures with our camera lens. But that was about as close as we ventured to some of the strange life we saw crouched in the little coral pools and hiding under rocks. 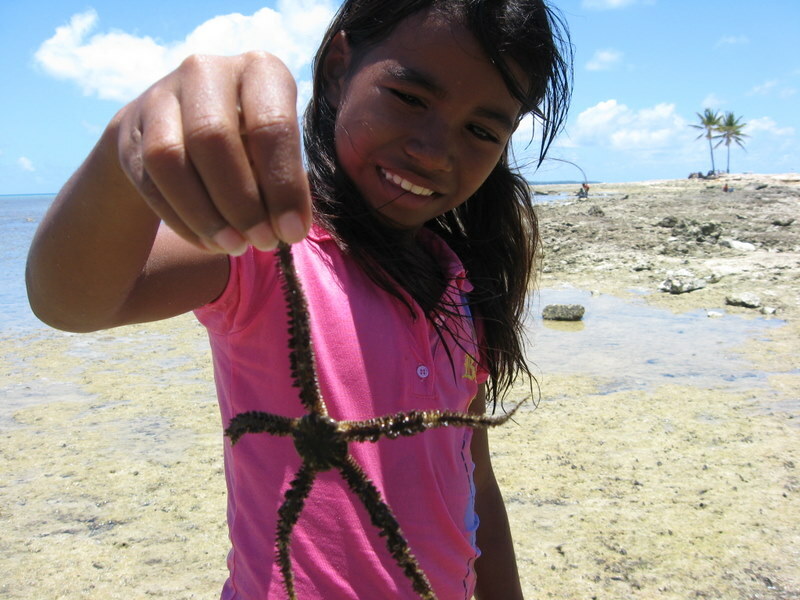 Completely friendly, this star fish that Miriam is holding is called a Brittle Star. It’s always a good time for some educational input. There were sea cucumbers strewn about everywhere, as far as the eye could see. While on our exploratory excursion across the sea bed, we met a friendly local who spoke some broken English. He was collecting sea cucumbers to cook and sell and asked us a few questions concerning our homeland and visit to the islands. He was dark and thin, cigarette tucked handily behind his right ear. 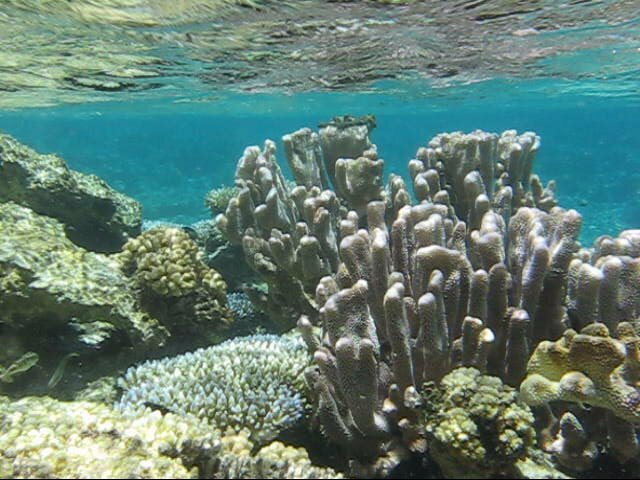 He handled himself like he knew what he was doing out here amidst the exploded coral pits, slug-strewn reef and foreign-to-me world. One thing’s for sure, the Marshallese know these teeming oceans like Americans know rush hour traffic: what’s hazardous and the best way to avoid it is paramount. 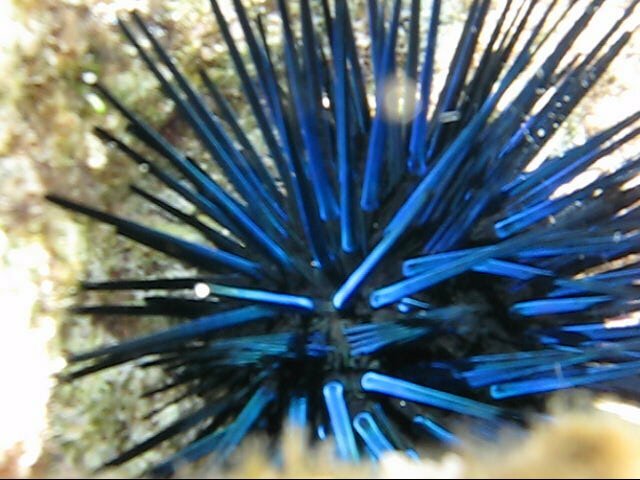 Here’s a fine example of a lovely, yet hazardous Blue Black sea urchin. Poisonous, it’s menacing look prompted us to stay away – except for a quick dip with my camera. It’s spikes are hard as steel and are used to chip away at the coral to make little ‘nests’ for them to hide and stab things…like fish. It wasn’t going to get any of us that’s for sure! As far out as I felt comfortable venturing with a little one in tow, I dipped my camera underwater one last time capturing some interesting footage. We headed back to shore but not without some lasting memories of a stroll across a fantastical seascape. God certainly made this world and all its inhabitants with such creativity and wonder. I stand amazed at his ingenious creations. So detailed, so painstakingly thought over, down to the last whip of color, perfectly placed spike or carefully contoured edge of a leaf. Absolutely beautiful. Absolutely God. It’s all in a day’s work at Gem School. 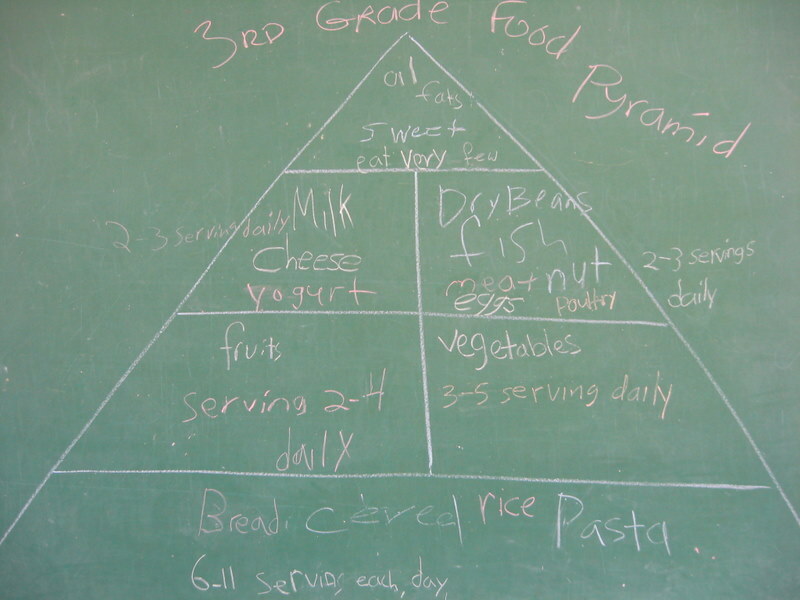 My third graders worked so hard on their food pyramid that I had to share it with everyone. So here it is..
Isn’t it beautiful :) It brings tears to my eyes. I love their handwriting. I’m so proud of my babies. We’ve also been taking time to talk about all the events that took place in Japan surrounding the earthquake and how the tsunami could travel all the way to Ebeye through the water. They got a mini education on ocean geography, wave formation and plate tectonics! We watched a video on YouTube of the earthquake from inside a store in Japan. They had never seen anything like that before because Ebeye never has earthquakes. We pray for Japan almost daily and they are very much into knowing how the people are doing. If I accidentally forget to pray about Japan, they quickly remind me. I love my kids. They have worked hard all year-round but especially the third quarter. So we are celebrating by hitting the beach this Saturday with a barbecue and party. They are all excited about it – and so are we! I’ll post some pics of the time we spend hanging out and having fun next week. Pastor Hone and Mrs. Gracie have returned from ministering in the states. It’s good to have them back. And they always bring back goodies to share. I especially love the chocolate covered macadamia nuts from Hawaii. What a blessing! It’s really starting to warm up here…it’s been HOT. Not much wind and the rain, which had been steadily blowing in once a day, has been avoiding us for three days now. This year has truly been a blessing in regards to the weather; mostly rainy, cool winds, overcast skies and cool evenings. Cool meaning lower eighties, but believe me, that’s comfortable weather here. I thank the Lord for it.